Jennifer Maxwell is the founder of Dalkey Podiatry. There’s a story behind everyone’s career choice, and Jennifer is no different. She is from Cabinteely, Co Dublin, and Jennifer can thank her ankle, and her mother, for her career as a podiatrist. “It was the only thing I wanted to do, from the time I was about seven”. As a young girl, Jennifer was fascinated with her family’s foot problems. Her grandmother attended the chiropodist regularly, and her mother suffered with her feet when she was pregnant. Her mother saw the keen interest, and did a lot of the research to find out how Jennifer could become a qualified podiatrist. There was nowhere in Ireland at the time to study it so Jennifer went to a college in Scotland. There were no approved Irish courses at the time, and nurses were doing a short correspondence course, but Jennifer wanted a full time degree. She has continued to gain further qualifications throughout her career. Jennifer returned to Ireland and set up a private practice in Blackrock, working in Our Lady’s Hospice in Harold’s Cross in Dublin, and in the National Rehabilitation Hospital in Dún Laoghaire. She gained valuable experience working in the Rheumatology Unit in the Hospice, helping people who had Rheumatoid Arthritis and Osteoarthritis. She prescribed orthotics to improve mobility. In the Rehabilitation hospital, she helped educate amputees about foot care and appropriate footwear choices. Jennifer worked as part of a multi disciplinary team to assist patients with head injuries and improve their mobility. 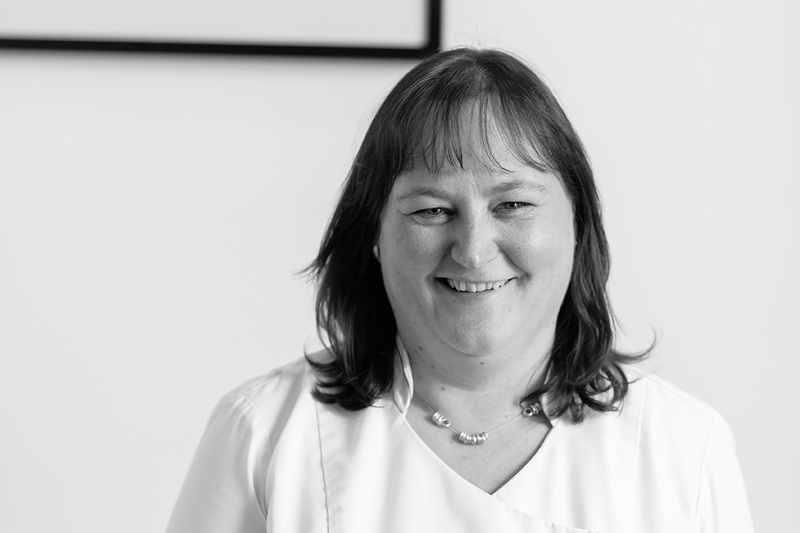 In January 2003, Jennifer opened her own business in the Dalkey Podiatry Clinic in Dalkey village. Since then, she has built her services, and expanded her offerings, to a wide range of clients, from newborn babies to very elderly people, from teenagers to golfers, from those with special needs to the health sportspeople with injuries. Since she gained her BSc. in Queen Margaret College in 1995, Jennifer has focused on continuous learning and keeping up to date with industry standards. She has introduced new methods and techniques, she attends CPD courses and others relevant to her business. Jennifer has a particular interest in Biomechanics and sports-related foot injuries. She is also strongly interested in the impact of Diabetes on the feet, on children’s feet problems, and in Rheumatology, particularly nerve conditions in people with Parkinson’s. In 2000, she completed the approved Diabetic Foot Module, which is approved by the Society of Chiropodists and Podiatrists. She has completed the Rock Tape strapping course. She is a member of the Society of Chiropodists and Podiatrists of Ireland and the UK. Does your child have flat feet? 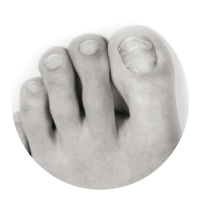 Do you have a toenail condition?